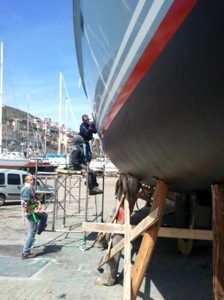 Back to Piriapolis harbour for the last delayed touches to Dawnbreaker's hull. Weather permitting we plan to get to water on the 4th of October. 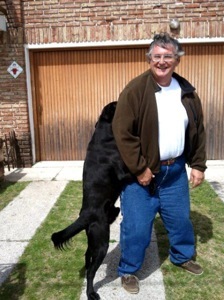 As a side note I was welcomed enthusiastically by Bobbie the Lab. 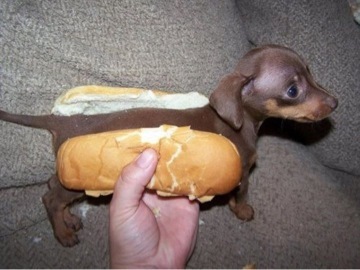 If he does not behave we will have hotdog for lunch on of these days.